930 gets seriously hot even just playing Ms solitaire!! And as everyone else says battery drops like a lead balloon. Heshtios, 16 Dec 2014Is the battery life as bad as everyone says it is? I need a smaller phone to replace my Lu... moreI wouldn't recommend you to get Xperia because of the simple reason that Sony it's not making good phones, on hardware and durability of the parts. Soon you'll see the battery will start failing, and also will be doing it the graphics and the speed of the phone. I own a Lumia 930 and not just work wonderfully but also feels really powerful and strong. It runs amazingly with games, graphics and speed are amazing, and the phone just never shut games down like it happens with other Lumias too. Battery might be an issue but only if you don't know how to use it and charge it. It all goes on how you charge it and if you respect the charge cycles. Heshtios, 16 Dec 2014See, that's the thing. I play a lot of games on my phone, but my 1520 has developed some hardw... more I did a battery experiment today and by playing a game that requires internet connection for 30 minutes battery dropped approximately 30%. I don't know how that sounds vs 1520 battery life. Fallen138, 16 Dec 2014The battery is good on standby even with cellular data on, but it drops too fast with games , ... moreSee, that's the thing. I play a lot of games on my phone, but my 1520 has developed some hardware problems and I need a smaller device (It barely fits in my pocket). I don't like Android, and I know I'll miss Windows Phone after a few months of using it (As I usually do) but I'm also someone who craves high-end specs on a phone. 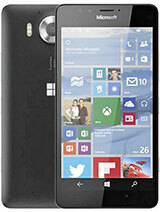 The 930 is the only high spec Windows Phone available in Ireland with a decent camera. I need to decide by the 26th whether to get this or a Z3. Heshtios, 16 Dec 2014Is the battery life as bad as everyone says it is? I need a smaller phone to replace my Lu... moreThe battery is good on standby even with cellular data on, but it drops too fast with games , videos and browsing. I don't know if 930 would be a good upgrade from 1520. Though I wouldn't advice you to get an Android device. Is the battery life as bad as everyone says it is? I need a smaller phone to replace my Lumia 1520 and I'm looking at either this or the Xperia Z3. I know how good the Z3's battery is, and I want a phone with good battery life, but I much prefer Windows Phone to Android and don't want to switch unless it's absolutely necessary, so I'd appreciate some feedback. kish, 15 Dec 2014is 2g is working in this cellYes, I have experienced 2g,3g and 4g networks. But 2g-E is a bit slow to load web pages. Anyone know if there's a decent google+ app on here,if there is I've yet to find it? Tim, 12 Dec 2014What about Office 365? Is it free subscription? If so, for how long?Office is free for ever I guess. Even in Wp 7 it was free. You can create and edit Word and Excel files and display PowerPoint. What about Office 365? Is it free subscription? 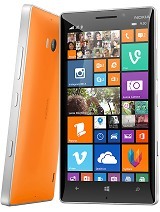 i wants know when this nokia lumia 930 are stay in peru? It's a lot of information to fill in, but if you do so it should work. Your service provider should be able to provide you with the information; otherwise you may find someone else online that has your providers and can give you the MMS APN configuration for your service provider. AnonD-338967, 06 Dec 2014Loving this phone, but cannot open or receive picture messages, any suggestions?You generally have to contact your service provider and they can send you the mms codes to configure your phone to there service network. They should have the codes for the 930 but if not the 1020 or 920 codes should work I would imagine. I have had to do this in the past with unlocked phones. jazzas, 06 Dec 2014Cannot send or receive picture messages,please help?Just give up on picture texts... 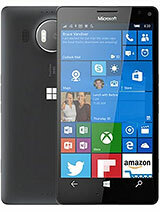 I have had many Windows phones, and unless locked to a carrier, they will not work. Use email to send pictures. Haris Khan, 05 Dec 2014There is no doubt that windows phones are best but the apps available in store are not up to m... moreI think the app developers are to blame. They must take care for their apps to work properly. They put more effort in developing apps for the other two OS and do minimalistic updates for WP apps. 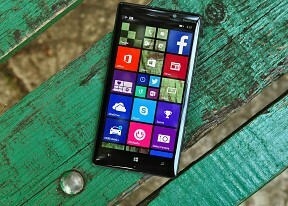 Once these developers do make good and official apps, WP will have profit from it. But it appears to be very difficult to get app developers put some effort in anything else than android and iOS. Loving this phone, but cannot open or receive picture messages, any suggestions?